Foireann sóisir na mban chionn tsáile abú! Bhailigh an tAonach Leabhar €2,318.55! 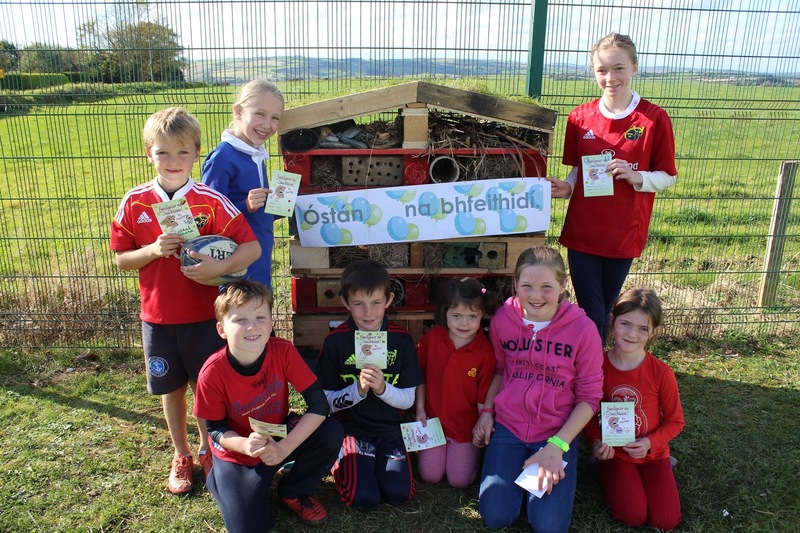 Faigheann an scoil 60%, €1,391.13, le chaitheamh ar leabhair don scoil. Chomhghairdeas agus míle buíochas do Shiobhán Uí Dhoibhlín as ucht é a eagrú, dosna tuistí a tháinig isteach chun fhreastal air agus daoibh go léir as ucht an tacaíocht mór a thug sibh. Aocht ollmhór a bhí ann! The Book Fair raised €2,318.55! The school gets 60% of this to spend on books for the school. Congratulations and many thanks to Siobhán Devlin for organising the fair, to the parents who came in to help out and to you all for the huge support you gave to it. It was a huge success! Tá óstán na bhfeithidí oscailte! Folúntais le líonadh! 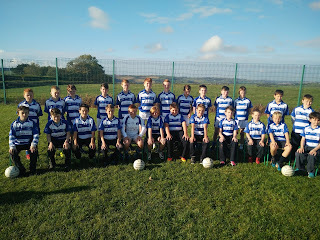 Sár-jab déanta ag rang a 4 agus rang a 5. 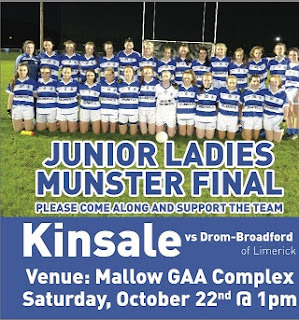 Tá baill nua againn ar an gCoiste Glas chomh maith, Charlotte Ní Bhriain, Siobhán Queva, Fiontán Ó Tuathaigh agus Abhilina Ní Riain. Cabhróidh siad linn chun an dara brat glas, 'fuinneamh' a fháil. Our bug hotel is open for business! Rooms are filling up fast! Well done to 4th and 5th class. Bhuail rang a 6 le húdar Sheena Wilkinson ar an 14/10/16. Labhair sí faoina leabhair agus a stíl scríbhneoireachta. Ba mhaith le cúpla páiste i rang a 6 leabhar a scríobh sa todhchaí! 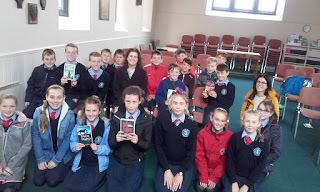 6th class met with author Sheena Wilkinson on the 14/10/16. She spoke about her work and gave advice on how to write a good story. 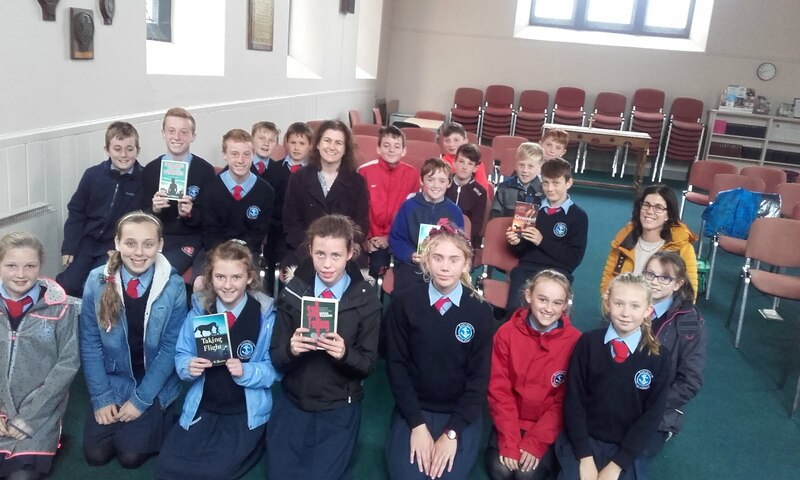 Some 6th class pupils hope to become authors in the future! Mar chomhartha mheasa agus chomhbrón i ndiaidh bás obann Anthony Foley ar an Domhnach seo tá cead ag na páistí éadaí spóirt dearg/na Mumhan (má táid acu) a chaitheamh ar scoil ar an Déardaoin an 20ú D.F. 2016. Ar dheis Dé go raibh a anam dílis. Mar thacaíocht d'fhoireann cailíní Chionn tSáile a bheidh ag imirt i gcluiche ceannais na Mumhan tá cead ag na páistí gleasadh in éadí ghorma & bána nó léine spóirt Chionn tSáile má táid acu ar an Aoine an 21ú Deireadh Fomhair 2016. 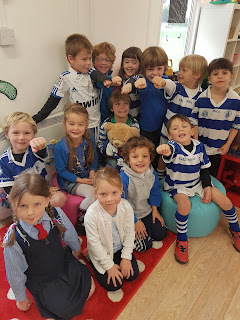 Mar is gnách beidh cead ag na páistí gléasadh suas d'oíche shamhna ar an Aoine an 28ú Deireadh Fomhair don féasta ranga a bheidh ar scoil. As a mark of respect and sympathy after the death of Anthony Foley last Sunday, the children can wear red Munster sports clothes (if they have them) at school on Thursday 20.10.2016. May he rest in peace. 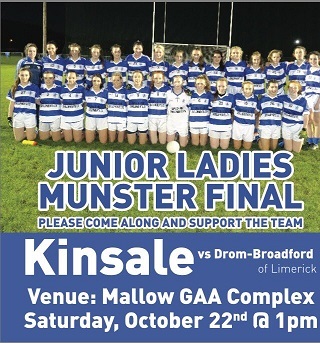 In support of the Kinsale ladies team that will be playing in the Munster final, the children can wear blue and white clothes if they have them or the Gaelscoil Chionn tSáile sports jersey, on Friday 21st October 2016. As usual the children can dress up for Halloween on Friday 28th October '16 for the class party at school. An Aoine seo 21/10/16, tá cead ag na páistí éadaí gorma agus bána (blue and white clothes) a chaitheamh chun tacaíocht a thaispeáint (show our support this Friday 21/10/16) d'fhoireann peile na mban Chionn tSáile atá ag imirt sa Cluiche Ceannais Sóisir na Mumhan an Satharn seo 22/10/16 i Mala ar a 2 a chlog. Tá Seachtain Mhata ar siúl ón 15/10/16 go dtí 23/10/16. Beimid á cheiliúradh an tseachtain seo 17/10/16 - 21/10/16. Beidh alán rudaí deasa difriúla ar siúl againn an tseachtain seo cosúil le tóir mata, cluichí idirghníomhacha srl. Maths Week is being celebrated from the 15/10/16 to the 23/10/16. We will be celebrating it this week 17/10/16 - 21/10/16. We will be doing a lot of different and interesting maths activities this week for example maths trails, interactive games etc. Beidh an Club Fichille ag tosnú arís ar an Luain 17.10.2016 óna 2.30 i.n. go dtí 3.30 i.n. le Múinteoir Neasa agus Olivier. Tá fáilte roimh páistí ó Rang 2 ar aghaidh. Go raibh maith agaibh. The chess club will be starting again on Monday 17.10.2016 from 2.30p.m. to 3.30p.m. with Múinteoir Neasa and Olivier. 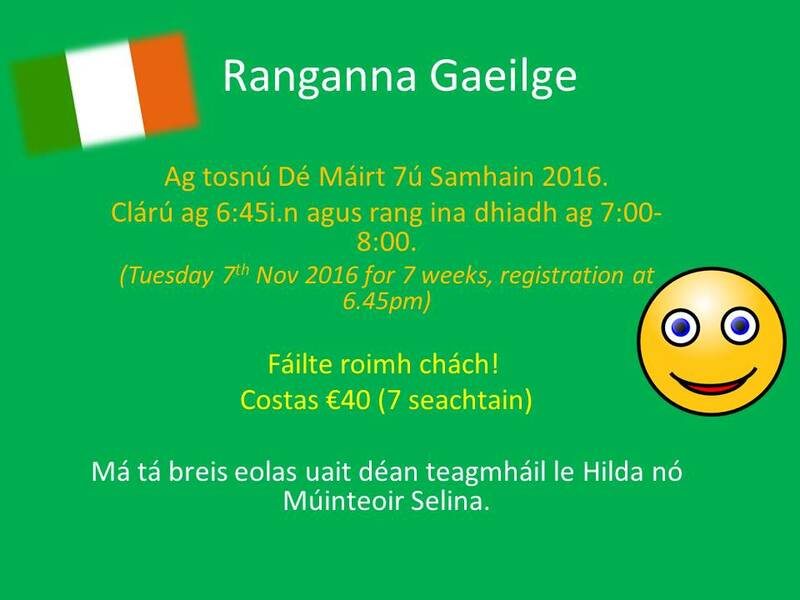 Children from 2nd Class upwards are welcome to take part. Thank you. 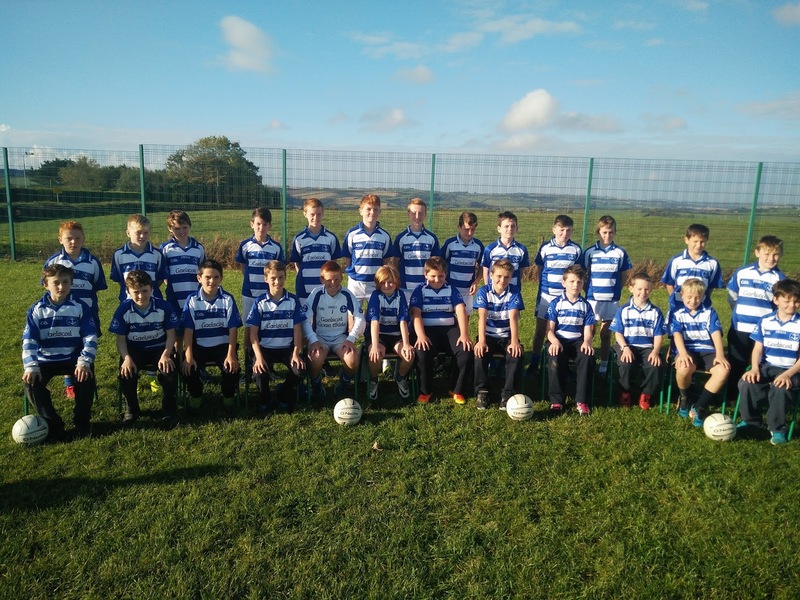 Comhghairdeas le na buachaillí agus le na cailíní a ghlac páirt i Sciath na Scol i mbliana. D'éirigh go h-iontach leo. Beidh cluiche ceannais na buachaillí i gcoinne Cnoc an Bhile ar siúl 27/10/16 ar a 12.45i.n. i mBaile na mBocht. A thuilleadh eolas le teacht. 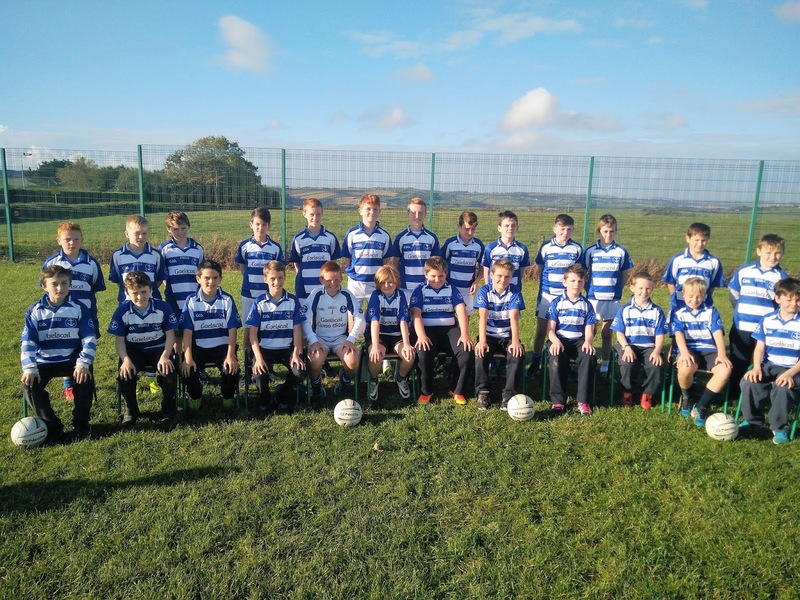 Well done to our girls and boys teams who did very well in this years Sciath na Scol football competitions. 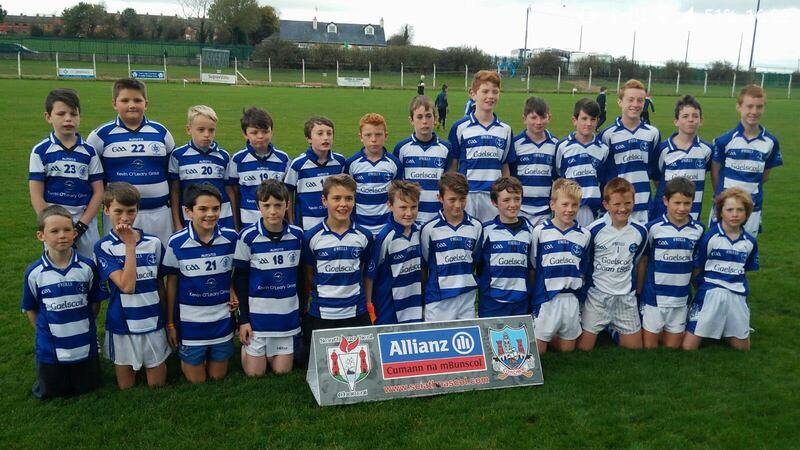 The boys have reached the final V Knockavilla, which will take place 27/10/16 at 12.45pm in Mayfield. More info. to follow. 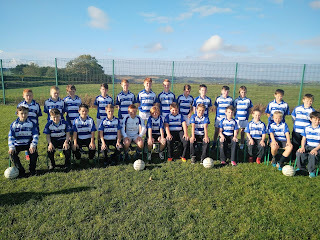 Táimid ag féachaint ar an uimhir na bpáistí a bheidh ag tosnú sa scoil an bhliain seo chugainn (M.F. 2017). Má tá páiste agat ag tosnú ansin, bí cinnte, le do thoil, go bhfuil an fhoirm seolta isteach dó/di. We are looking at the number of children that will be starting school next year ( Sept 2017). If you have a child starting then, please make sure that you have sent in a form for him/her. I write to you, parents of the children preparing for Confirmation. I invite you to a meeting of parents only on Wednesday 9th November 2016 from 7.30pm to 9.30pm in the Friary Centre. The purpose of the meeting is to assist parents to explore issues around putting forward a child for Confirmation. It is not a talk or lecture. The meeting is to look at our understanding of Confirmation and in the light of that to look at ways in which you can help to make Confirmation Day more meaningful for yourself and your child. I realise it may be difficult for both parents to attend, but if possible it would be much more beneficial. The meeting will be facilitated by the Parish Catechists (Carmel Murphy and Emily O’Regan), some parishioners and myself. The Enrolment for Confirmation will be on Sunday 13th November 2016 at 10.00am Mass. I look forward to seeing you at the meeting in the Friary. 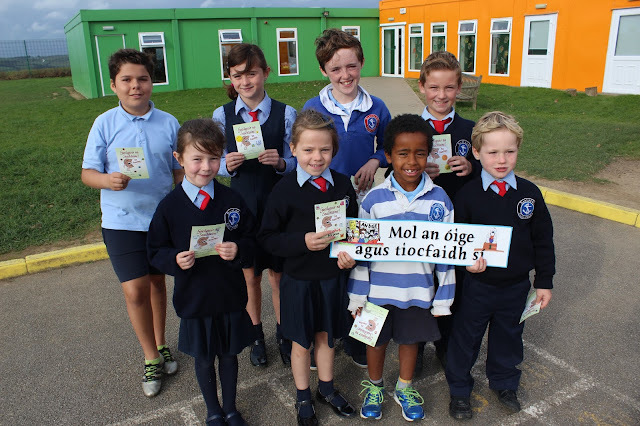 Tá an feachtas Super Troopers á thosnú againn arís sa Ghaelscoil. Táimid ana bhródúil as an mBrat Gníomhach atá ag eitilt go hard san aer lasmuigh mar sin tá orainn ár ainm mhaith ó thaobh aclaíochta de a choiméad beó. Tá pacáiste eolais ag dul abhaile le do pháiste agus níos mó eolais ar fáil ar an nasc thíos. Go néirí libh a thuismitheoirí, agus a pháistí. We are starting the Super Troopers campaign again this year with each class participating for the first time. We are very proud of the Active Flag that is flying high outside so we have to keep alive our good name for physical avtivity. 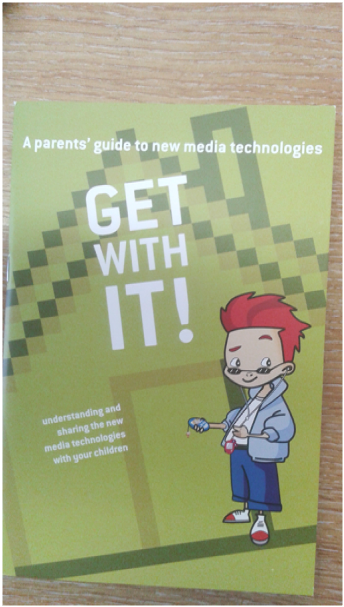 An information pack has been sent home with the children and there is more information to be found on the link below. Best of luck parents and children. Cuireadh ar an eolas mé go raibh cás míoltóga ghruaige i Rang 5 (buachaillí, go háirithe). Scrúdaigh gruaig do pháiste anocht agus cuir an leigheas cuí air más gá. Chun na míoltóga gruaige a sheachaint chabhrófar gruaig na gcailíní a chur suas agus banda gruaige leathan a chaitheamh. Go raibh míle maith agaibh! Dear parents, I have been informed of a case of head-lice in 5th Class (Boys in particular). 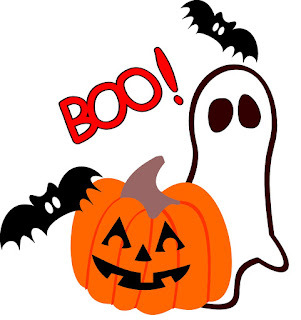 Please check your child's hair tonight and treat it if necessary. To avoid the head lice it would help to put up the girls' hair and for them to wear a wide hair-band. Thanking you all in advance! 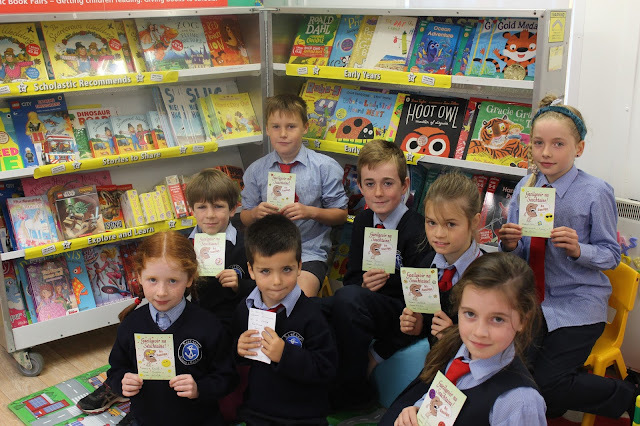 It's that time of year again when the Scholastic Book Fair is coming to the school with an extensive range of books, both in Irish and English and suitable for 3+ years to sixth class, from 13th -18th October 2016. We are changing things slightly this year; with more time for the children to browse the books within the school day but we will have reduced times when the parents are invited in to browse/buy with their children, please see the proposed timetable below. Books can then be purchased at these sessions taken home, and enjoyed or if they are not in stock, we will put in a group order and the books will be delivered to the school the following day. For every €10 spent by you the parents, Scholastic give back €6 to the school who in turn use the money to buy books for each classroom. 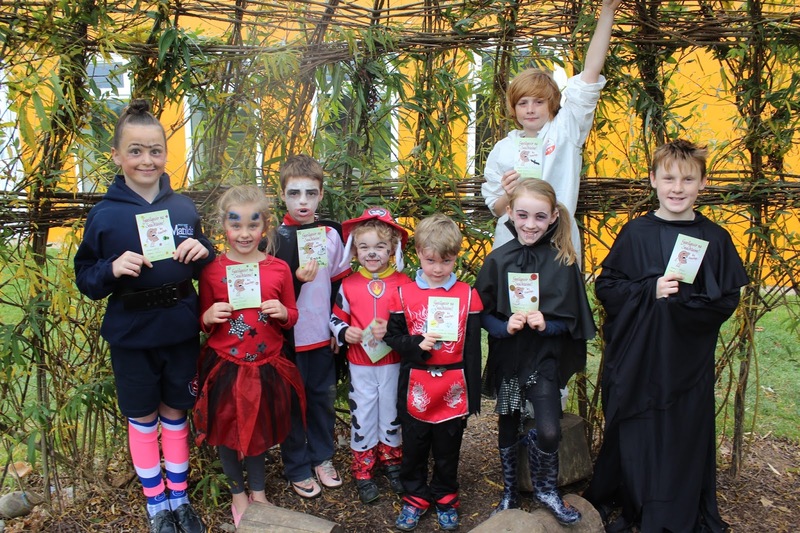 A win win situation for the school and for developing love of books! Please note we are only having one early morning session this year on Friday morning. 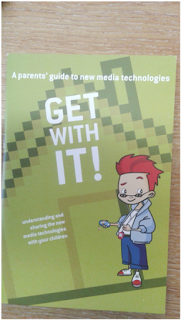 These handbooks are in the office if anyone wants one.